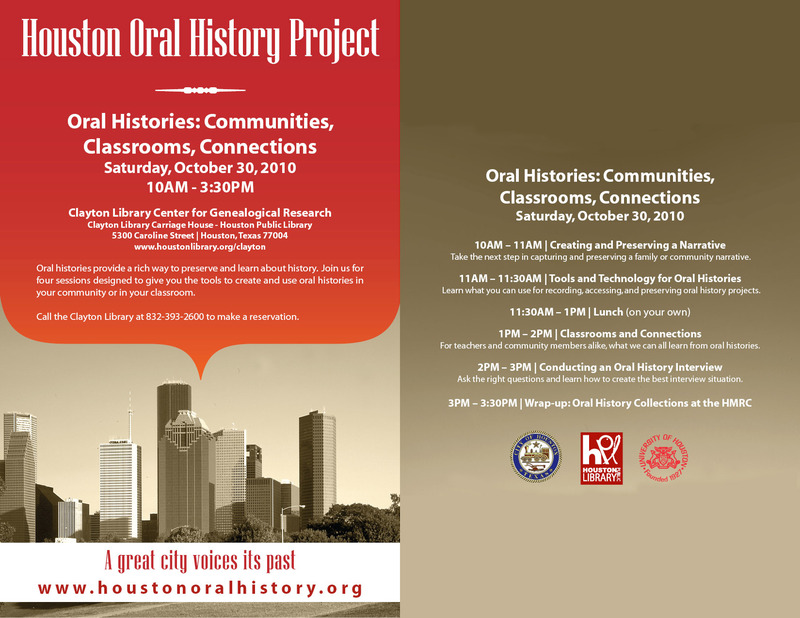 The Houston Public Library is sponsoring a free Oral History Workshop on Saturday, October 30th at the Clayton Library Center for Genealogical Research. If you are available, please consider attending this all day event. This entry was posted in Workshops on October 5, 2010 by amobley.